Beery Heating and Cooling creates indoor air environments designed to be as personal to you as your home décor. To achieve this, we start by profiling your climate preferences in your home. Our assessment includes inspection of components such as room types and sizes, shades and window treatments, and insulation and ductwork. Drawing from this evaluation, we envision what your personalized home heating and cooling system will need to achieve. We then review your available options with you, including how you could approach heating and cooling efficiency, temperature control, humidification and indoor-air purification. Our discussion will cover all of your choices of current heating and cooling technology. As professionals current with industry science, we can match the right equipment and systems to your distinctive spaces whether your home is new or already built. We’re also available with 24-hour service should an unexpected issue arise with your furnace, boiler or air conditioner. We guarantee your satisfaction with our work as well. Call (630) 585-6444 today for more details about our furnace/boiler and air-conditioning installation, repair and replacement for Sugar Grove. We can also assist you with air-conditioning cleaning. Inquire about our Planned Maintenance Program with special customer benefits too! Our efficient and affordable service for extends beyond support for your furnace/boiler and air-conditioning systems. We also provide skilled plumbing and electrical work for your Sugar Grove home. Our plumbing services include, among many others, new-construction plumbing, backflow testing, sink rodding and installation of sump pumps and water heaters. For your electrical system in Sugar Grove, our trained and certified technicians can help ensure that it lasts longer and runs more efficiently. Just a few benefits of our electrical service are fewer costly repairs, lower energy consumption and discounts on parts and labor. Learn more about our plumbing and electrical work for Sugar Grove homeowners – call (630) 585-6444 today. 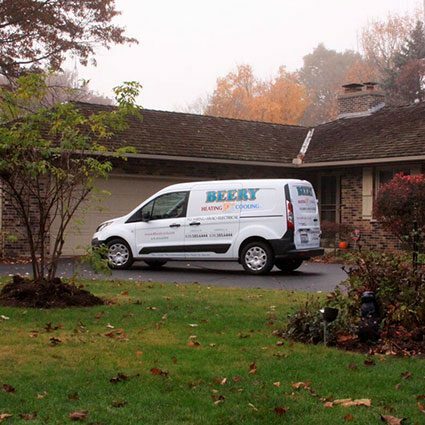 If you own or operate a business in Sugar Grove, Beery Heating and Cooling offers complete solutions for commercial heating, cooling, plumbing and electrical systems. Whether it’s repair, replacement or maintenance you need, our experts can serve you with speed and skill within your budget. Contact us at (630) 585-6444 to further discuss our commercial work in Sugar Grove.